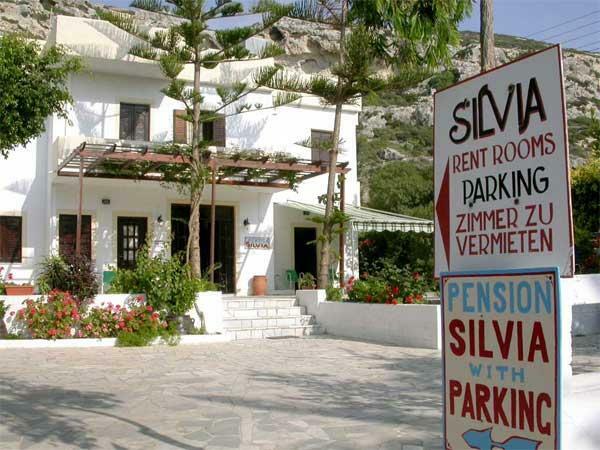 Welcome to the Villa Sylvia Site.- Villa Sylvia, a family run pension in Crete, situated on Matala s side road, is located 100 metars from Matala beach with its famous caves, 50 meters from the center and 20 meters from the way that leads to the red santy beach and surrounding hills. The owners, Sylvia and George Spinthakis are natives to Matala. 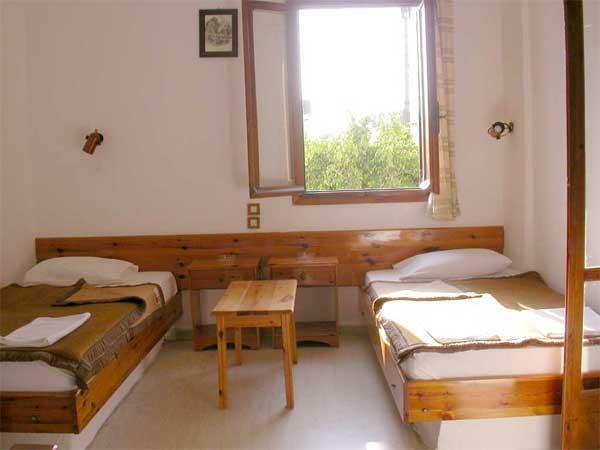 They offer everyone the true "Greek Hospitality" with comfortable, clean, child friendly atmosphere and reasonably prised accommodathions all through the year. They speak English and understand german ,live on the premises. 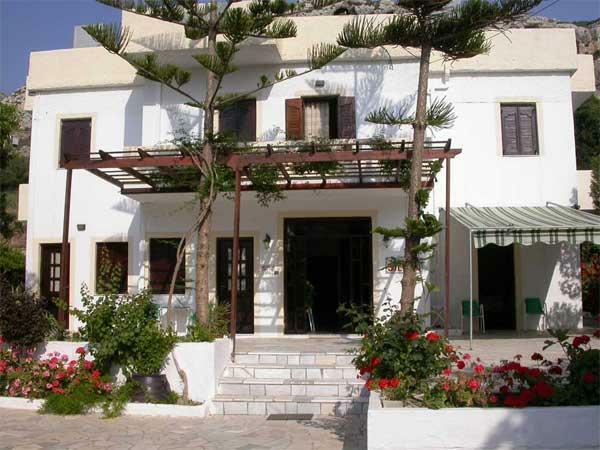 All rooms include a bathroom , air condition and a refrigerator with private balconies that present romantic views to the sea , and matala s caves. On the ground level ,thear's a large terrace surrounded by various trees and flowers. They provide plenty of shade and cool breezes. Free parking and play area for children is available.